Difference Between Conventional Medicine and Natural Solution for Candida Yeast Infections - YeastInfection.Org by Eric Bakker N.D.
July 23, 2013 by Eric Bakker N.D.
Less than one hundred years ago all health complaints were treated with natural methods, which is today seen as an alternative to science based healthcare. What was once normal and even practiced by conventional doctors of the day is now frowned upon as fringe medicine. Modern science and the expensive marketing of powerful and profitable pharmaceutical drugs have ensured that the modern approach is in favor of the drug-based approach. This trend has been slowly but surely reversing the past two decades, as many people are now demanding a more natural and side effect free approach towards their healthcare. While I firmly believe that the conventional science based approach to medicine has its place, conventional treatment relies on powerful chemical based medicines that only suppress symptoms. Natural treatments work more indirectly by strengthening the body’s innate healing responses and in finding the actual causes rather than just relying on treating the symptoms. Many patients come to us seeking assistance with their yeast infections because they have not only become disillusioned with a lack of permanent results, they have become concerned about the risks and potentially serious side effects of the drug-based approach and want to finally get to the root cause of their health problems. Your health can be improved profoundly with the help of an experienced practitioner of natural medicine or medical doctor who has a good working knowledge of natural medicine. If you want to stay remain under the care of a conventional medical doctor, it is preferable that your doctor has had formal training in natural medicine, and doctors who have had this kind of training have become medical practitioners initially, and then furthered their studies to include nutritional medicine and maybe even herbal medicine and homeopathy. Further they should know how to recognize a candida yeast infection. You should be able to find an alternative doctor online in your country through a professional association. I have worked in medical clinics for fifteen years and come to know many alternative medicine doctors during that period of time. I can highly recommend any naturopath to spend a few years working alongside doctors to understand the medical system and to learn valuable skills they would otherwise never gain. In addition, it is also preferable that your natural health-care professional has a good understanding and respect for the conventional medical system and will know when to refer you on when necessary. Today in the 21st century, many people are interested in the best of both worlds, i.e. the benefits that medical sciences as well as natural medicine have to offer combined. People have become a lot more informed through the Internet these days, and more gentle forms of treatment are generally preferred with the least amount of intervention before powerful drugs or invasive procedures are employed. In this sense it is good to work in conjunction with an experienced naturopath who has undertaken high-level health science based training, or a medical doctor who has undertaken post-graduate natural medicine training. The ultimate is for you to form a relationship with both of these health-care professionals so that you can get a more balanced viewpoint when it comes to the treatment of your yeast infection and associated health problems. Whichever way your candida yeast infection is treated, it is important for your practitioner to individualize your treatment, because bio-individuality is one of the major factors in achieving a successful course of yeast infection treatment with long lasting benefits to you, the patient. 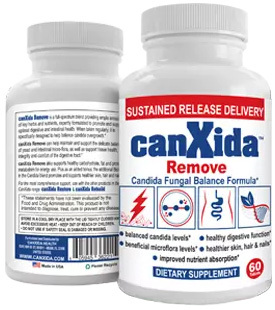 Although people may share similar signs and symptoms of a yeast infection, some practitioners may try to give all patients with a candida diagnosis virtually an identical form of treatment. I have learned that yeast infection is similar to adrenal fatigue, there is often no single way that even two persons can have exactly the same signs and symptom patterns and therefore be treated identically. Even identical twins have been found to have a different expression of the same illness. That is why they call a yeast infection a “syndrome”, which is a collection of signs and symptoms that can vary from person to person. And this may create more problems for the medical practitioner than it can for the natural medicine practitioner, because the doctor will treat the disease and its symptoms as individual illnesses, whereas the naturopath will treat the person as an individual and his or her symptoms as a whole.